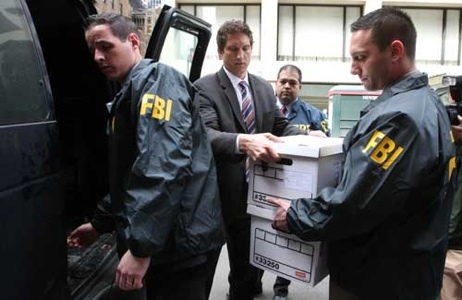 WASHINGTON — The Justice Department and the FBI will review thousands of criminal convictions from over a decade ago for possibly flawed analysis of hair sample evidence. The department and the FBI are in the process of identifying historical cases for review where a microscopic hair examination conducted by the FBI was among the evidence in a case that resulted in a conviction, Justice Department spokeswoman Nanda Chitre said. “We remain committed to working closely with our law enforcement partners to go through thousands of cases, all of which are more than a decade old, and to assemble evidence for purposes of conducting a thorough and meaningful review of convictions,” Chitre added. The review follows stories in The Washington Post about the department’s flawed follow-up of potentially faulty lab analyses. In April, the newspaper identified two men convicted largely on the testimony of FBI hair analysts who wrongly placed them at crime scenes. The government has moved to overturn the conviction of one of the men, who was convicted of a sexual assault. A judge has vacated the conviction of the other man, who was convicted of killing a taxi driver. The Justice Department is partnering with the Innocence Project, a private group, to provide an independent, third-party assessment of the government’s review. The advocacy group is dedicated to reforming the criminal justice system and to exonerating the wrongfully convicted through DNA testing. The National Association of Criminal Defense Lawyers also will work with the government on the effort. Former Justice Department inspector general Michael R. Bromwich, who investigated the FBI lab in the 1990s and uncovered serious problems with some FBI lab analyses, called the review “an important and necessary response to the multiple documented cases in which flawed hair microscopy analysis and testimony have led to wrongful convictions.” He said that working with the Innocence Project and the National Association of Criminal Defense Lawyers is a step in the right direction. “Nothing can give back the many years those wrongfully convicted defendants spent in prison, but at this point all participants in the criminal justice system – prosecutors, defense lawyers, and the courts – need to make extraordinary efforts to ferret out as quickly as possible any similar cases,” said Bromwich.